Breakdowns are a nightmare - We'll keep your car running like a dream! We'll keep your car running great!!! We are an automotive shop open along the I-45 feeder road in The Woodlands. 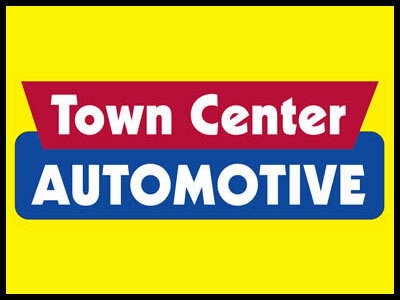 Town Center Automotive was started in response to the need for excellent quality automotive care and the lack of time to provide that with a full time job. We are a family business that specializes in making sure the customer comes first. Our Automotive Technicians have over 20 years experience and take pride in the work they perform. Town Center Automotive is a Woodlands family-owned business dedicated to high-quality car repairs that will keep your family safe on the road. Our certified automotive technicians are trained to handle major and minor repairs on most foreign and domestic vehicles. With more than 20-years experience under our belt, we pride ourselves on three C's: Customer service, Convenience and Courtesy. Located along the I-45 Southbound feeder in The Woodlands, it's easy for you to visit us for all of your automotive needs. Call 281-367-5959 for more information or to schedule a service today.